Please watch this 2 minute video about how our charity started and how it makes a huge difference to the families we support. 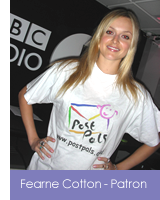 Vikki, the founder of Post Pals, explains how the charity works. Former Pal, Megan H, also features with her family.